Welcome to The Yoga of Healing for Women Yoga Teacher Training! An 18-hour weekend training for yoga teachers who want to feel confident relieving common aches and pains like back, neck, knee and wrist, as well as conditions specific to pregnancy and postpartum. Why does my back hurt in this pose? What’s the best pose for knee pain? My neck hurts in the morning – what can I do? So I dove into alignment studies for 15 years, received my Masters in Kinesology as well as my Anusara Yoga Certification. and developed what I call “The Five Sacred Steps.” These alignment principles arose from my particular interest in how yoga changes – and must change – for women’s bodies, as well as from pregnancy itself. In The Yoga of Healing for Women, we use The Five Sacred Steps to relieve normal aches and pains as well as the unique issues that arise around birth, throuh both verbal and hands-on adjustments. These alignment principles go far beyond the mat: they are guidelines to practice, teach, and live by. The steps of co-creating can help us enjoy being pain-free, strong, and free throughout our lives. In this transformative weekend, we will apply these principles to basic yoga poses and sequences, and learn to instruct with them to help our students out of pain. Poses we teach all the time – chatturanga, downward dog, backbends and standing poses – can worsen pain for the vulnerable pregnant and post-partum body. Bring your aches and pains! They are often our greatest gurus, so we can learn to help others heal from them. These principles are particularly useful for common pregnancy discomforts, but help reduce pain for all bodies, all the time. If you would like to become a Certified Ma Yoga®/Yoga Alliance RPYT Instructor, you must take both Prenatal 1 and 2. These are long weekends and can be taken in any order. What Will I Be Able To Do After Prenatal 2? Relieve common aches and discomforts, both in traditional poses on the mat and those that arise throughout the day and night. Apply the Five Sacred Steps to common birth-related issues, including infertility, back labor, pelvic instability and diastisis recti (or “post-baby belly”). If you know you want to be certified, you can purchase the whole program that includes everything below and save $350 on individual costs, or you can do our payment plan (pay the costs listed below as you go). Your labor education requirement is not included in the full program price, since some people will want to do a doula training (or have), and others will want to join us for our online course, The Yoga of Birth in fall. The cost of The Yoga of Birth is $297. As a member you automatically get 10% off, and you can earn Karma Points easily through sharing and providing feedback that will give you up to 30% off all of our online programs at www.MaYogaLiving.com. All participants receive an initial free, 30-minute Dreams and Visions call with Jessica, to help you create a plan that works for your life. Please reach out to schedule a call with me. I look forward to connecting with you! $497 / $447 – get $50 off by registering by September 27! Use discount code LomitaEarlyBirdP2 at checkout. For more info about this training and testimonials, please go to The Yoga of Healing page. Or reach out! My experience was fantastic, I thought I would have wrist pain forever, but just by learning to support my weight in my shoulders, I have started to alleviate this issue. It was wonderful to learn that we are more powerful than we know and be given the tools to use this power and gentleness. With no background in teaching yoga, the Therapeutics training really helped me be more confident in my ability to teach. The training was very interactive and hands on which also made me more confident in being able to teach others. Thank you Ma Yoga! I had a wonderful experience – it was definitely more than I imagined it to be. The weekend really helped me to look at yoga in a different way. I walked away with new tools and principles that I can use on myself and others. I’m excited to review all of the material and to start putting what I learned to use immediately. I really appreciate being able to download the handouts, it’s nice to be able to revisit the handouts in the member area. 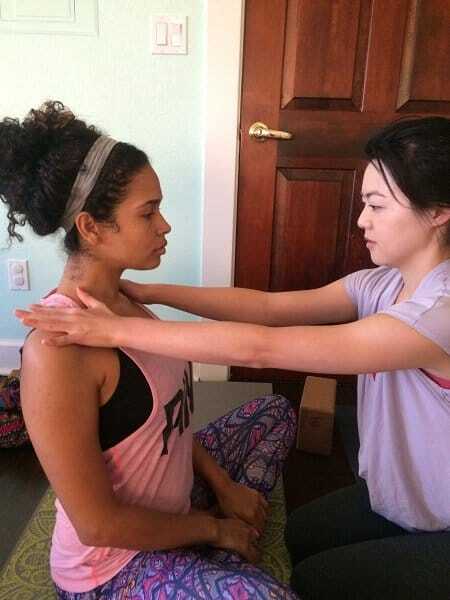 Jessica, the alignment principles I learned in your therapeutics workshop last weekend was completely evolutionary for my practice in mind, body, and spirit. Thank you, from the bottom of my heart, for this priceless gift. I hope some day to embody a fraction of the goddess energy that radiates from you. Including therapeutics into the (200-hr) training is essential for any new yoga teacher—giving them tools for students who come into their classes with common ailments. Our trainees… were able to experience alignment from a different perspective – and most had transformations in their own practice as well. Jessica and her team are dynamic educators; she is prepared, knowledgeable, and passionate about healing through alignment. We look forward to working with Jessica and Ma Yoga again! I left teaching each class feeling ridiculously happy; so proud to be doing my best for these ladies at such a special time and so privileged that I was in a position to be able to be on this journey. How lucky to be doing something so magical it uplifts your heart and soul every day. 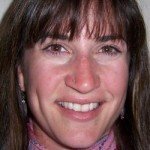 Rebecca Hackett has received her C-IAYT, RPYT, RYT-500 and is a member of the International Association of Yoga Therapists. She has been doing yoga on her own since 2000 after having multiple back surgeries in 1998, 2003, a spinal fusion in 2012, and two abdominal surgeries including a cesarean section. In 2013 she became a yoga teacher so she could teach to those who want the many benefits that yoga can provide. Email Jessica at Jessica@MaYoga.com for your free Dreams & Visions call if you have questions about the training, or about becoming a Ma Yoga® teacher. For questions about the whole Ma Yoga/Yoga Alliance Certification Program, please click get more info. What if I Want My Whole Ma Yoga/ Yoga Alliance Prenatal Certification? You must take both Prenatal 1 and 2 – which are long weekends – to fulfill the requirements for onsite trainings for the program. You can take Prenatal 1 and Prenatal 2 in ANY order. Please email Jessica@MaYoga.com to schedule your free 30 minute Prenatal Dreams and Visions talk with Jessica Jennings, to make sure this program is right for you! What are the details for The Yoga of Healing – Prenatal 2 yoga teacher training again? The healing and therapeutic elements in this training are rooted in the Masters in Science in Kinesiology, as well as over 10,000 hours of alignment-based Anusara Yoga – not the Yoga Alliance Yoga Therapy designation.